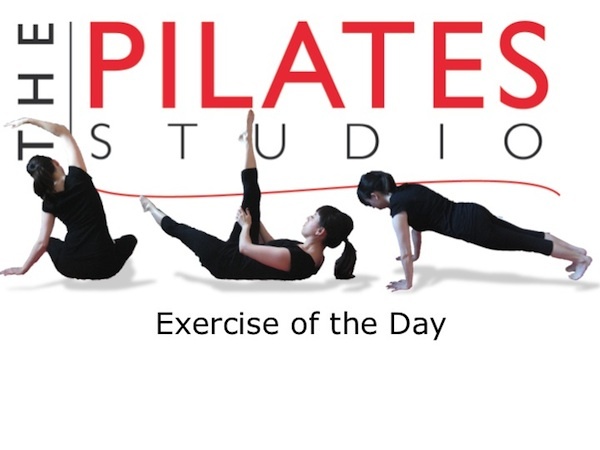 This exercise is intended to move the shoulder girdle on the ribcage, which in turn loosens the muscles around the shoulder blades and can relieve tension in the head neck and shoulders. To do this exercise you will need a mat. Start by lying on your back with your knees bent and your feet planted on the ground. Bend your elbows to place your fingertips on the top of your shoulder, and then continue breathing as you make circles with your elbows. As you continue drawing these circles notice the movement of your shoulder blades and your collarbones. Continue to circle your elbows in both directions. Often we think about shoulder movement as being the function of one joint at the point where the humerus (upper arm bone) meets the shoulder blade. In actuality, the full range of motion of the shoulder joint is the function of three joints. When you are doing this exercise, think about the humerus meeting the shoulder blade, but also be aware of the point at which the shoulder blade meets the collarbone and the point at which the collarbone meets the breastbone. All of these joints should be moving.